Speaking of older, my kids getting older is also one of those parts of my life that is creeping up on me against my will. The other day I was shocked to look at my tall, lanky son. He was the size of a loaf of bread, like, yesterday. He weighed 6 pounds! What happened? His growing resemblance to my husband is kind of startling. Luckily, some sneaky things are nice. Like M & Ms. Whenever I eat one, I remember how incredible they are. Seriously. Popping just one of those is probably a scientific impossibility. Who can do that? Not me, I tell ya. When I was a kid, my dad used to take us to visit an older relative or friend, though I’m not sure exactly what she was. To be honest, I remember very little about her, down to even her name. I’m kind of ashamed. But she always gave us freshly baked M & M cookies, and so I worshipped her. Any woman who wasn’t my grandmother who fed me cookies rocked my little world. The cookies were always perfect. 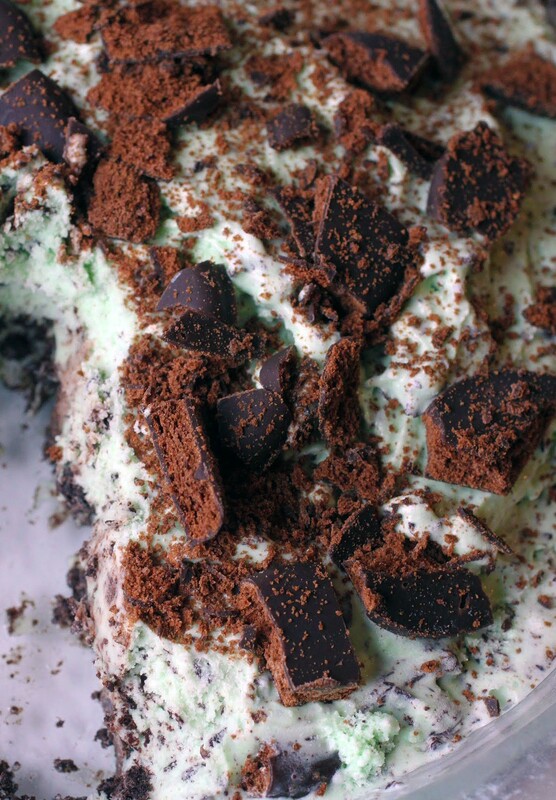 Sugary, crispy on the edges, and bursting with M & M flavor. This was before the soft cookie trend took hold, so they were a little on the flatter and chewier side. I didn’t care. I didn’t realize at the time that these cookies were made with shortening, which I try to avoid if I can. So the ones here just use butter. 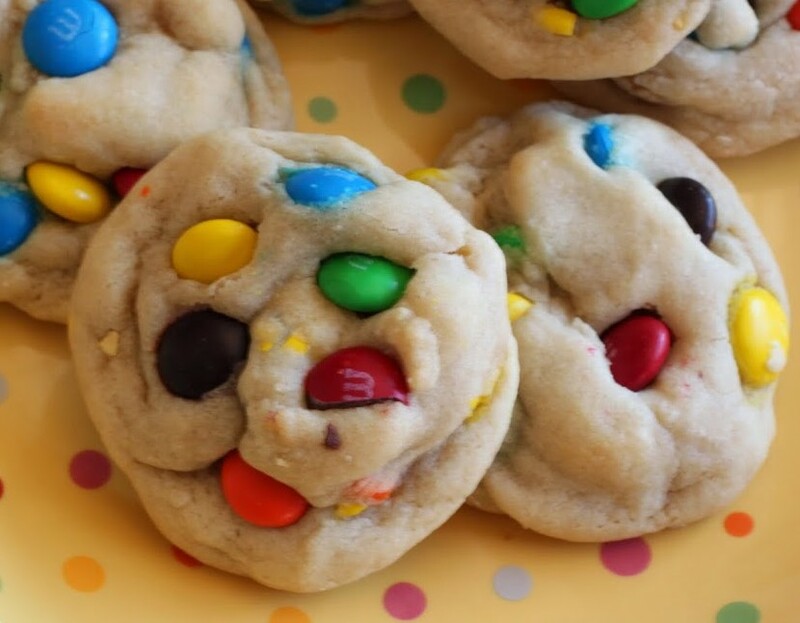 As an adult, I do like my cookies soft and thick, with plenty of M & Ms on top. So after I bake them up, I always save a few to press into the top of the cookie. Plus, more M & Ms means more. How can that be bad? Time passes and life sneaks up on us. 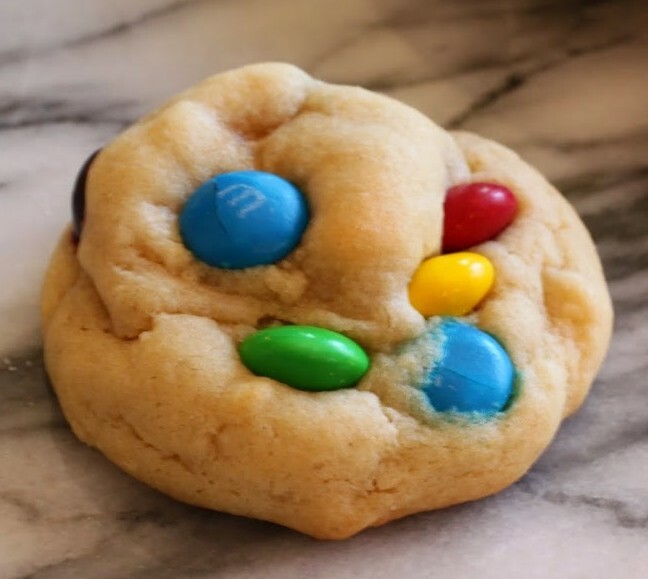 But one of the many constants I can count on is the comfort of an M & M cookie. When I eat one of these, I’m 5 years old again in the best way. And someday, when I’m old and gray, I want to make these for a cute little girl who comes to visit me with her daddy. Combine the melted butter, brown sugar, and white sugar together until the mixture is smooth. Stir in the egg and the egg yolk, incorporating both fully. Finally, add the vanilla. In a small bowl, combine the dry ingredients. Add the mixture to the wet ingredients and mix well. 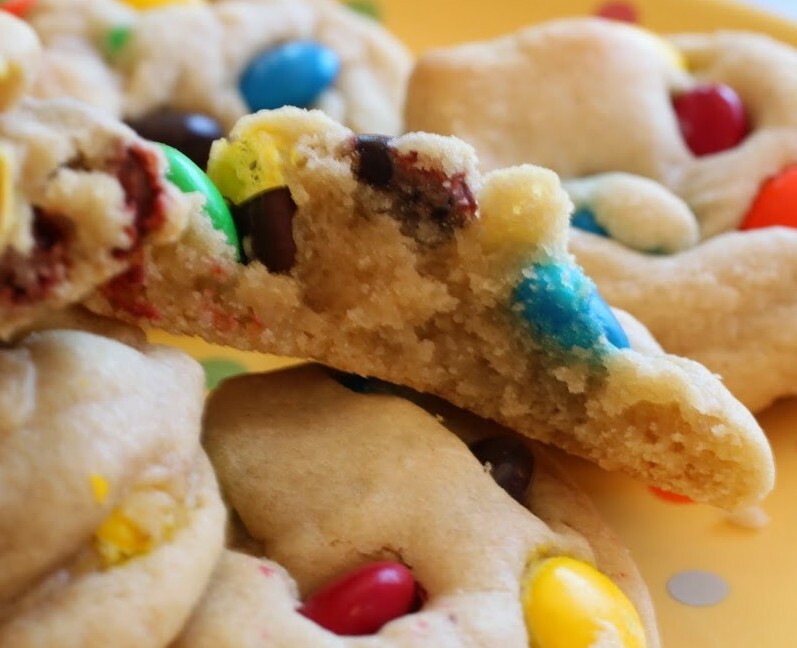 Fold in the M & Ms, reserving 1/4 cup for after baking. Cover the dough and chill anywhere from 3 hours to overnight. When you're ready to bake, preheat the oven to 350. Line cookie sheets with silicone baking mats or parchment paper. Using about 1 and 1/2 tablespoons of dough, form tall mounds and place them about 2 inches apart on your cookie sheets. Bake for 11-12 minutes. Do not leave them in any longer! 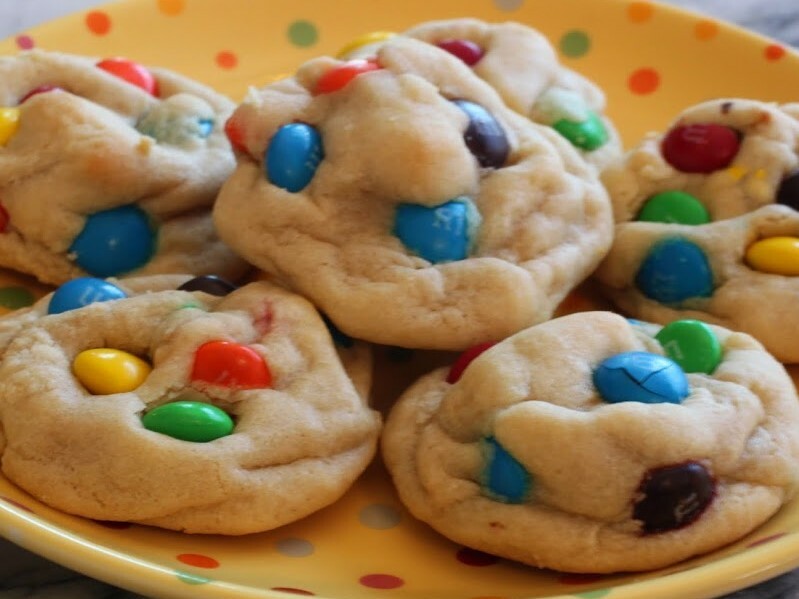 Remove the cookies from the oven and press on the reserved M & Ms wherever they'd look best. Cool cookies completely. Store in an airtight container. NOTE: Cookies are MUCH better on the second day! 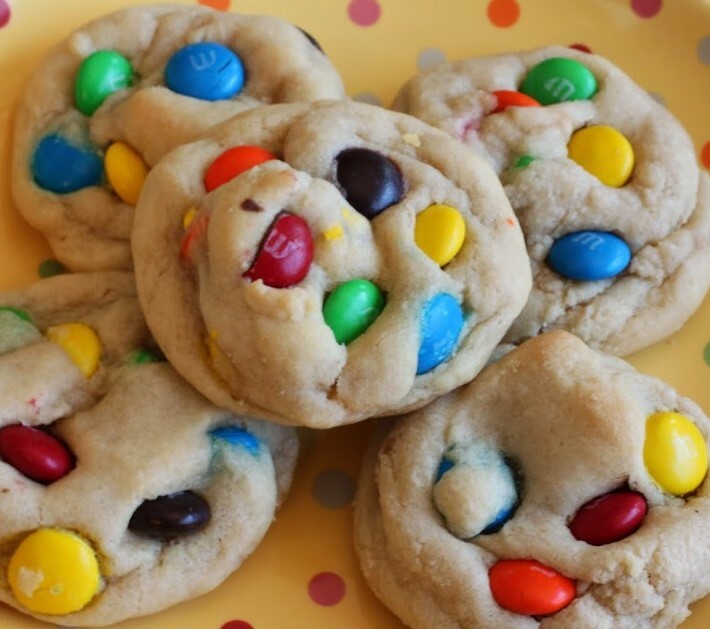 M&M cookies always remind me of my childhood. My mom would make those cookies every once in a while and they were so good! And I hear ya about not being able to eat just one M&M, they’re too addicting! I love how soft and fluffy these cookies look, Mir! 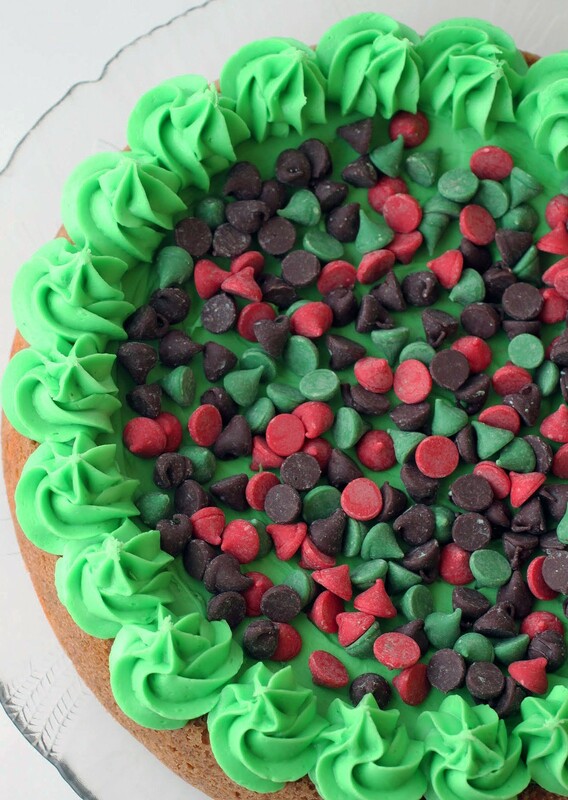 Cookie perfection! I love that we both associate these with childhood, Gayle! I have a hard time not grabbing them anytime anyone makes them. They turned out really fluffy! 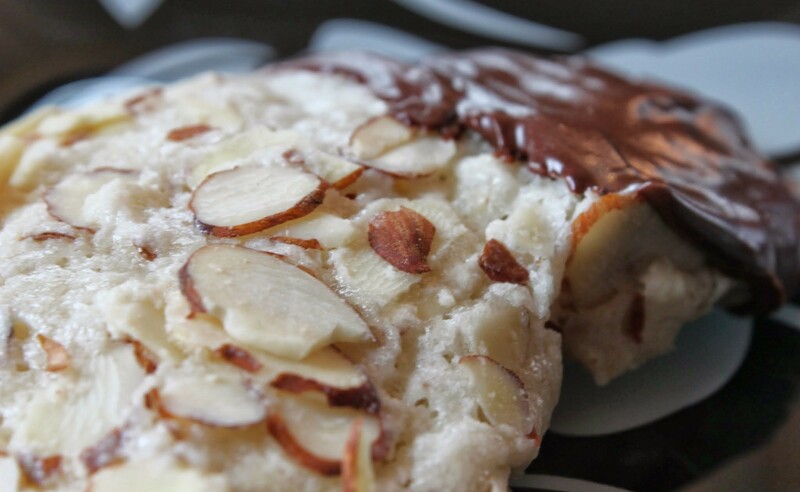 There’s nothing better than a perfectly soft baked cookie, these look incredible! The M&Ms just make them that much better. Thanks, Danielle! It’s hard not to eat them. All of them. These cookies are too cute! I’ve actually tried a very similar recipe, but used candy corn M&Ms. Delicious, soft and thick! Love them, pinning! Ooh, fantastic with the candy corn flavor. So delicious! Thanks for pinning, Mira! These look amazing Mir! And it made me laugh that you were talking about getting older and time flying today, cause I was doing the same thing in my post! Funny how it hits you sometimes isn’t it? I guess we’re on the same wavelength today, Stacey! Time passing terrifies me. Cookies help! I’m with you, Medha! These are a classic! Mir, these cookies are just so perfect! I love the puffiness of them and how bright they look with the M&M’s:) I can totally relate about the grey hairs and wonder when I’ll just give up on trying to pluck them, dye them, or cover them up… Not anytime soon though! Never give up, Heather! And thanks so much! You’re so sweet! These look soft, fluffy and just perfect Mir! M & Ms are so addicting, it’s dangerous stuff!!! So addictive, Manali! My husband ate the rest of the bag I used for these cookies. I’m going to have to hide them from now on! More M&M’s will NEVER be bad in my book!! 😉 I’m loving how pillowy soft these look! Pillowy soft cookies are the only kind, Jocelyn! Thanks! Have you ever been to the M&M Store in NYC? Every time I go see a Broadway show, I make a pitstop to the magical, three-story building in Times Square that holds the key to my chocolate-loving heart. They have every color and flavor you can think of. Generally, I end up spending too much money, but it’s super fun. 🙂 These cookies look beautiful! Have I? Heck yeah! I love that store! And I love overspending there, too! Thanks, Erin!